Question 1: What is your view of Santa Fe’s Target Flow for a Living River Ordinance passed in 2012 that provides for river flows during spring runoff? I believe the target flows for the spring are necessary and appropriate. It would be good if there was a little more flexibility when considering the volume of water to be released to the river, specifically, a way to evaluate in unison the surface water supply at the city’s two reservoirs, snow pack and the moisture content within the river. I absolutely support the Living River Ordinance and maintaining a minimum flow in the river and wetlands but would take it one step further. The city should purchase additional water rights to increase the flow beyond a minimum level. Rivers are the soul of our state. Having a living river run year round through our city is a priority. Perhaps a design competition to jump start our vision for what we want the river to look like in 10 years would get us excited and help guide our decisions. 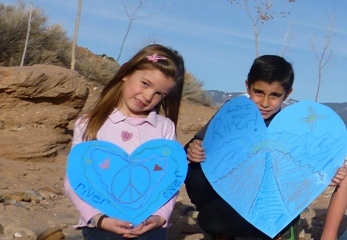 On February 29, 2012, the City Council passed the Target Flow for a Living River Ordinance making Santa Fe the first city in the state to dedicate annual flows to our river. As your City Councilor, I would make sure that we keep this ordinance in place. When we do get rain, without a living river, the runoff will just run away and not saturate into our groundwater. I feel that further studies need to be done to maintain a healthy ecosystem. By doing so, we can determine the impact of the bypass channel and the historic channel. There should also be a study on preserve water requirements. I like that city staff will provide a report to the governing body on previous year’s target flows and projection for the next year flows along with the with City Manager to adjust the target flows especially in a winter like the current one with no precipitation. My view is simple. Santa Fe’s living river target flows and their associated procedures constitute a sensible system. In normal or wet years, the river receives 1,000 acre feet of water releases from our reservoirs in the upper watershed. In drought years, the river gets proportionally less water as everyone must share the need to conserve water during droughts. The hydrograph for water releases is calculated and implemented in order to provide occasional large pulses of water that get as far as the San Ysidro Crossing (and sometimes even beyond), but most of the time the living river services the Upper Canyon Road area and our historic downtown. It is unfortunate that 1,000 acre feet can only go so far, but the target-flow plan still makes sense given the many other factors that limit our city’s water supply. Not to be fussy—rather to be clear—the use of the word “during” in question 1 seems ill advised. Shouldn’t the question end with this phrase, “as a result of projected spring runoff in the upper watershed,” as opposed to, “during spring runoff”? River releases and their associated target flows do not only happen “during” spring. They start in the spring and occur through the summer and well into autumn. (In extremely wet years, one could even imagine releases in winter—yeah, if only.) Reservoir releases and associated river flows are based on the snowpack that provides spring runoff. These releases are estimated in the target-flow hydrograph which is a visual and numerical representation of the calculations for projected reservoir releases through the calendar year. The aforementioned pulses are designed to mimic large flows that would naturally occur during large monsoonal events. Essentially, I am a big fan of the Living River Ordinance, and I would seek to increase these flows when possible. One of the best ways to increase flows, however, is to teach people how rivers function—and to implement projects that reflect the hydrological understanding associated with this teaching, which is this: Precipitation hits the ground and soaks into the earth, runs across the surface of the earth, or evaporates. If it soaks in, ultimately, the water goes in three directions: It drains into waterways, seeps into aquifers, becomes flora or fauna, or vanishes into the atmosphere by evaporation, transpiration, or evapotranspiration. If it becomes runoff, it either ends up in a waterway (picking up significant particulate and other pollutants along the way), or it evaporates. If we were to allow more stormwater to infiltrate into the soil instead of race off the built environment at breakneck speed, we would have more water in the river. This is one of my primary goals for Santa Fe. I strongly support the Living River Ordinance that provides for river flows during the Spring runoff season. In fact, I would take the ordinance further. I am proposing that pump systems be used to capture water flowing through the system and recirculate it. Having a thriving water ecosystem in the Santa Fe river at all times would serve several critical functions for our city, including 1) allowing for evaporation that contributes to cloud cover and precipitation; 2) enlivening the plant- and animal-based ecosystems overall, contributing to the health of the environment; and 3) providing another beautiful outdoor downtown space for our citizens and tourists to enjoy. Research needs to be done to see if it can be implemented and financially viable. The Santa Fe River is one of the most endangered rivers in the world. For a city with leaders that claim to be environmentalists concerned with climate change, it behooves me that they are not managing to rescue and bring to full life the waterway that is so important to Santa Fe’s natural environment and history. De-watering the Santa Fe River has destroyed the ecological network of the river system, held back sediments that would naturally replenish downstream ecosystems, and has lowered groundwater tables needed for plant roots and wells. With two reservoirs blocking the continual water flow down the river there are broader biosphere processes impacted that are ignored. Not allowing a continuous downstream water flow from the reservoir is a significant contributor to greenhouse gas emissions (a recent study pegged global greenhouse gas emissions from reservoirs on par with that of the aviation industry, about 4% of human-caused GHG emissions). Using water to protect our natural environment is not a waste of water and should not be compromised. I want to see a continual water flow down the river all year around and that is what I will work to achieve.